LOCATED BETWEEN THE 1300 BLOCK OF WEST PERSHING AND THE 1400 BLOCK OF WEST HARPER STREETS, JUST EAST OF HIGHWAY 67 AND THE POPLAR BLUFF MIDDLE SCHOOL. 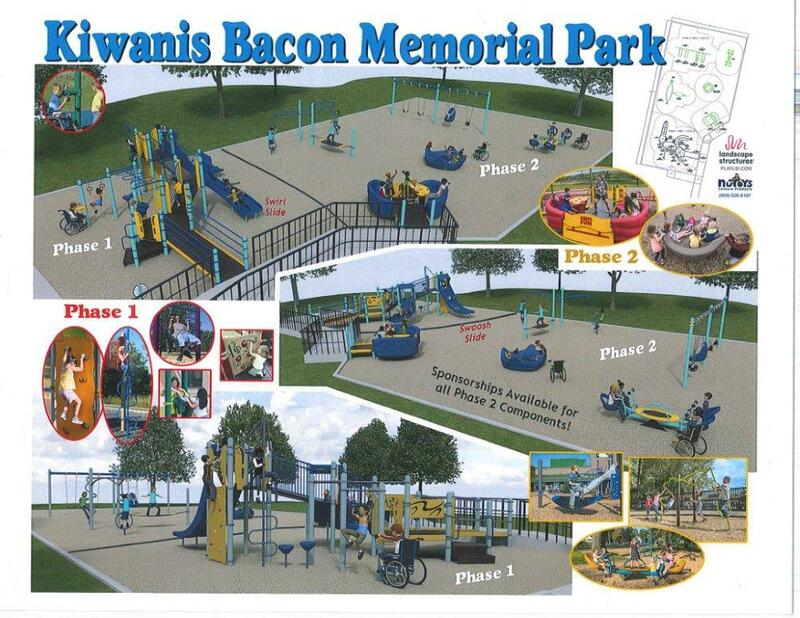 The largest and most ambitious project of the Poplar Bluff Kiwanis Club is Kiwanis Bacon Memorial Park. 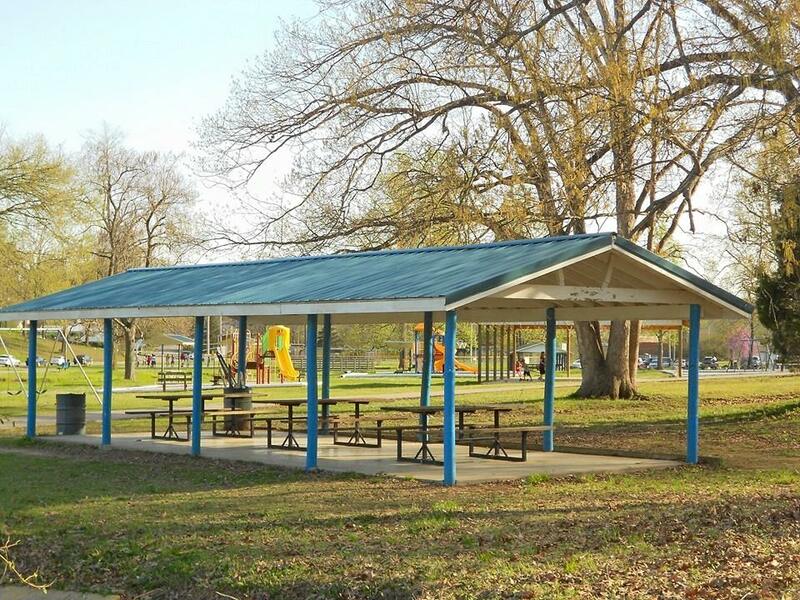 The property was a gift to the Poplar Bluff Kiwanis Club in 1948 by the late Mrs. Carrie Bacon Turner in honor of her husband, David Bacon, and her son, Fay Bacon. Fay had been a charter member of the club. Kiwanis Bacon Memorial Park has many features. There are several pieces of playground equipment, a walking trail, basketball court, softball field, and a recently added frisbee golf course. A large field area is used for practices such as football and soccer. There are four large and four small individual pavilions for use. Make reservations for the large pavilions by calling 573-785-3338. The smaller individual pavilions do not have to be reserved. Phase 1 was installed in August, 2017. Fundraising is currently underway for Phase 2. If you would like to participate in this effort, click here.